Library Journal, in collaboration with SirsiDynix, recently conducted a survey of 618 public libraries to gather information about mobile device trends in libraries. Their report reveals the increasing use of mobile-friendly websites and apps in public libraries. Out of the libraries that responded to the survey, about 2 in 5 (37%) currently offer a mobile app to their patrons and nearly three-quarters (72%) have a website that is optimized for use on mobile devices. Libraries serving more than 500,000 patrons were more likely to respond that they have an app, resulting in about 7 in 10 (69%) larger libraries compared to a little less than a quarter (22%) of smaller libraries. Mobile optimization of the library website is more consistent across library sizes; 2 in 3 (65%) smaller libraries described their website as mobile-friendly and about three-quarters (74%-77%) of larger libraries said the same. Library apps serve varying purposes for each library, but nearly all (97%) of the responding libraries reported that their library provides mobile access to the library’s catalog. Catalog access is by far the most common app functionality, followed by a library event calendar (68%), ebook and audiobook checkout (60%), and mobile library card/digital barcode (60%). Respondents also clarified the functionalities that they want their apps to offer, including fine payment (69%), library event calendars (62%), and remote sign-up for events or library cards (51%). 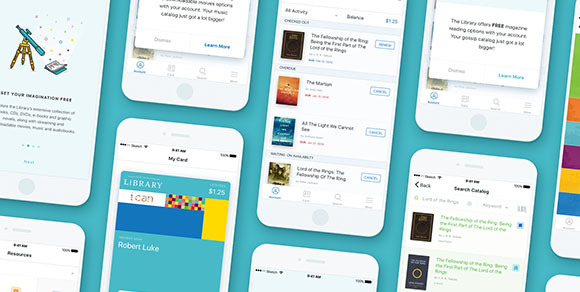 Libraries reported that about 1 in 10 (12%) library users have actually downloaded the library’s app to their smartphone or tablet. About 2 in 5 (38%) acknowledged that their app appeals to certain patrons, including young adults, students, and “everyone but seniors.” These audiences could influence how libraries market their apps. Most respondents said that their apps were advertised via the library website (64%) and on social media (30%). Less off-line marketing took place, but some respondents advertised the app using posters (19%), newsletters (12%), and bookmarks (6%). For more survey results, check out the full report here. Library visits help encourage learning in children, but what about in adults? 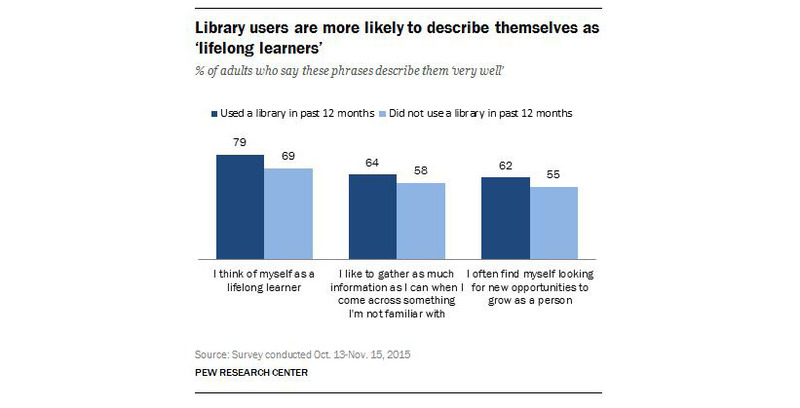 A Pew study has found that adults who use libraries are more likely to consider themselves to be “lifelong learners” – that is, actively pursuing learning opportunities and learning to embrace new technologies. These results came out of a larger report examining general lifelong learning habits among adults. When presented with the statement “I think of myself as a lifelong learner,” a large majority (79%) of adults who had visited a library or bookmobile in that past year indicated that the statement describes them “very well.” The number of library users who consider themselves lifelong learners rounds out to nearly everyone in this group (97%) after adding in the 18% of respondents who thought the statement described them “somewhat well.” Comparatively, about 7 in 10 (69%) of those who have not used a library in the past year described themselves as lifelong learners. This group of lifelong learners engages in learning pursuits at the library at a rate of about 1 in 5 (23%). Those most likely to use library resources to pursue their interests include women (27% of this group), those ages 65 and older (30% of this group), and those living in households earning less than $50,000 (29% of this group). Library users are also more likely than non-library users to adopt and use technology to aid in personal learning pursuits. More than 9 in 10 (93%) library users regularly access the internet either from home or the library, and about three-quarters (74%) of these adults report using social media. For more information, you can find the full report here. You can also check out a previous LRS Number post about general trends in lifelong learning habits. In 2008, we launched a longitudinal study to document the use of various web technologies (e.g., virtual reference, mobile friendliness, social networking, etc.) on the websites of public libraries throughout the U.S. The study was repeated in 2010, 2012, and 2014, expanding on the 2008 findings by tracking the trends in U.S. public libraries over time as well as by examining new technologies as they emerged. Our latest findings, from 2014, indicate that from 2012 to 2014, the percentage of library websites offering any type of mobile-friendly access increased, with the biggest change in libraries serving populations of under 10,000 (71% in 2014 vs. 17% in 2012). Mobile apps were offered by about 3 in 4 libraries serving 500,000+, and nearly 3 in 5 libraries serving under 10,000. About 2 in 5 libraries serving 500,000+ and 1 in 4 libraries serving 10,000-499,999 had websites with URLs that redirected to a mobile site when viewed on a mobile device. And, about 1 in 5 libraries (across all population sizes) had websites that used responsive design. Find out more about our 2014 study in our Fast Facts reports summarizing highlights for both the U.S. and Colorado, as well as an expanded report that contains the study methodology and charts of all of the findings. And, stay tuned! In 2014, we expanded our study to include academic libraries. Those findings are coming soon. If the younger generation is any indication of how people will live, work, and interact in the future, today’s teens are media omnivores who will set new standards for social communication. In a new study from the Pew Research Center that takes a look at how friendships are formed and maintained in the digital age, it was found that teens are more likely to text message with friends everyday (55%) than interact with them in person every day (25%). The results, obtained from a national survey and in-person focus groups of 13 to 17 year olds, also found that other popular communication methods include talking on the phone, instant messaging, social media, video chat, video games, and messaging apps. Teens are also not only keeping in touch with established friends online, but are also making new friends. More than half (57%) of teens have made at least one new friend online. However, it is also likely that these friendships will remain exclusively online. The most popular forums for teens to meet and socialize online are social media sites such as Facebook and Instagram, as well as playing networked video games. Girls are more likely to meet friends through social networks than boys (78% vs. 52% of boys), and boys are much more likely to meet through online video games (57% vs. 13% of girls). 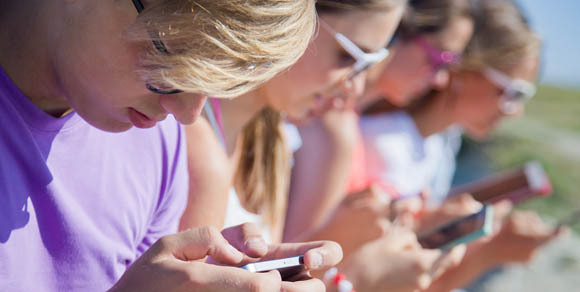 Despite parental concerns, teens are meeting up in online environments more and more. Of all of the top places where teens get together with close friends, online environments are now the third most common (with 55% of teens saying they spend time with friends regularly online). It is still unclear whether these online interactions have an overall positive or negative impact. More than four-fifths (83%) of teens say that social media helps them to feel more connected to friends’ lives, but some teens do experience negative consequences such as pressure to make themselves look better, having friends that start drama online, and others posting exclusionary or negative comments. If libraries are to remain vibrant places for teens to gather and interact in the future, they will need to consider ways in which they can harness the fluid and quickly changing social dynamics of this demographic. You can access the full report on “Teens, Technology & Friendships” here. Join us at the Pueblo CLiC Workshops! Colorado Library Websites and Social Media: What’s #Trending Now? Facebook, Instagram, mobile design, virtual reference…Website features and social media choices abound for today’s libraries, but are you curious about how your library compares to the rest of the Colorado academic and public library community? Come to this session to learn about Library Research Service’s (LRS) biennial study where we’ve analyzed every—yes, every!—Colorado public library website for features that enable interactivity with patrons or enhance usability. New for 2014, we added all of Colorado’s academic libraries to the mix. We’ll share the highlights of our latest findings and major trends we’ve found since we kicked off the study in 2008. And there’s more! Staff from Pueblo City-County Library District and CU Health Sciences Library will share their website design and social media strategies, best practices, and lessons learned so you can go back to your library armed with the data and tools you need to bring your website and social media into the 21st century. Who does your public library serve? What challenges do they face? What are their needs and interests? 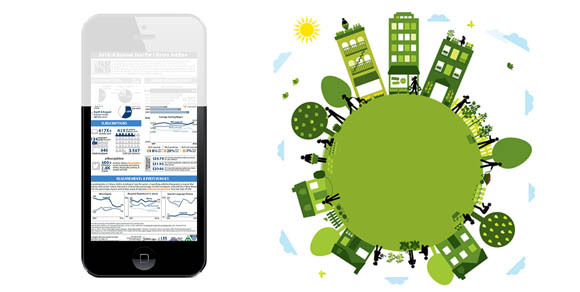 What existing resources—such as nonprofits and government agencies—support your community? Join us to learn how to gather this information and use it to target and tailor library resources and services. We’ll cover approaches ranging from analyzing demographic data and surveying your community to more outside-the-box methods. And, we’ll feature homegrown examples like the Douglas County Libraries Community Reference Project, which embeds librarians in local organizations to learn about the needs and goals of their community, and the Denver Public Library’s Teen Asset Mapping Project, which used interviews with community organizations to discover existing resources for Denver teens and how to refine its services to fit into that landscape. We hope to see you in Pueblo! Libraries have fully embraced social media as a way of reaching and engaging with patrons in new ways. But social media is no different than any other technology: Trends and usage ebbs and flows as new groups discover existing tools and new tools become popular. One resource for navigating the changing social media landscape is Pew Research Internet Project, which recently released updates to its research based on a survey of U.S. adults who use the internet conducted in September 2014. Facebook is still king, with 71% of online adults using the site, but this hasn’t changed since 2013. And those who are on Facebook continued to use it often, with 7 in 10 using the site daily and 45% using it several times a day. Another first for Facebook: In the 2014 survey, more than half (56%) of internet users older than 65 were on Facebook (31% of all adults 65 and older). Instagram, Twitter, Pinterest, and LinkedIn all saw significant growth since 2013, with usage rates of 23% to 28% of online adults. And more than half (52%) of online adults used two or more sites (up from 42% in 2013). Instagram boosted its usage particularly among young adults (ages 18-29), of whom 53% used the site. While female users continue to dominate Pinterest, 13% of online males also used the site in 2014, compared to just 8% in 2013. Learn more about the changing demographics of social media users and get updated frequency usage stats with the full report. We’re busy digging into analysis of our own research on how public libraries are using social media as part of our biennial study. Keep an eye out for 2014 results from this study later this year. In the meantime, check out our 2012 results for Colorado and the United States overall. The 2012 Academic Library Trends and Statistics, an annual publication of the Association of College & Research Libraries (ACRL), examines services, collections, and expenditures of academic libraries at accredited colleges and universities across the U.S. and Canada. In 2012, 1,495 academic libraries participated in this survey. We were particularly interested to note the social media use portion of the survey, which shows that about 3 in 4 (76%) academic libraries reported using social media. To break this down a bit further, let’s look at the numbers by type of degree granted by the library’s institution: 91% of doctorate, 83% master’s, 76% bachelor’s, and 60% associate’s degree granting institutions use social media of some kind. The top 3 outlets? Facebook, blogs, and Twitter. Wikis, RSS feeds, and IM were also quite popular at doctorate-granting institutions, although much less so at the other types of institutions. Libraries were also asked about the purpose of using social media and, as you might expect, promotion of library services, events marketing, and community building were the top choices. Institutions also used social media to communicate with patrons, both about problems (like database downtime) and to gather feedback or suggestions more broadly. 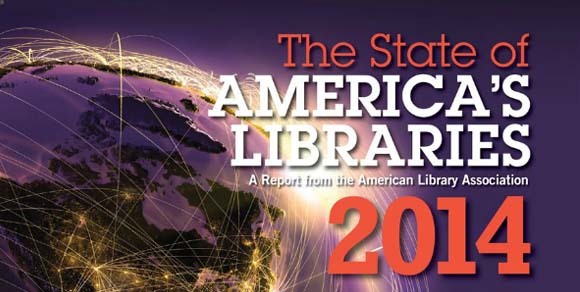 The full 2012 Academic Library Trends and Statistics report is available for purchase in print or online via ACRL Metrics. You can learn more about social media and libraries—here in Colorado and across the country—by perusing our biennial study on public libraries and web technologies. The 2013 Digital Inclusion Survey closed late last year, and researchers hope to release their national data report during ALA’s Annual Conference in a few weeks. In the meantime, we are having a blast playing around with the national interactive map. It combines demographic, economic, and health data from the American Community Survey and select Digital Inclusion Survey results to illustrate what libraries offer their communities and general attributes of those communities as well. Even better: iPAC is adding features to allow users to print pieces of this excellent tool. And if you’re looking for more help to tell the story of your 21st-century library, check out the issue briefs and map visualizations. We’re looking forward to seeing the final results from this new survey!